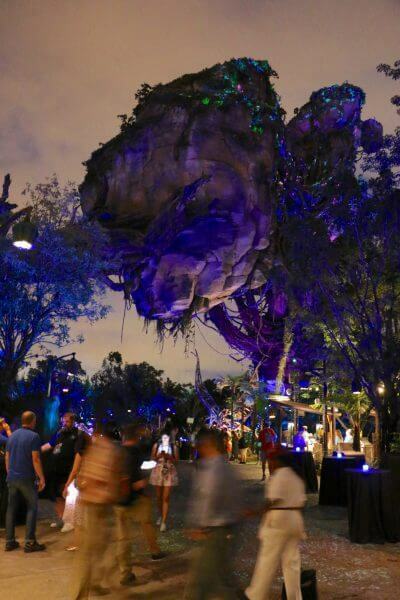 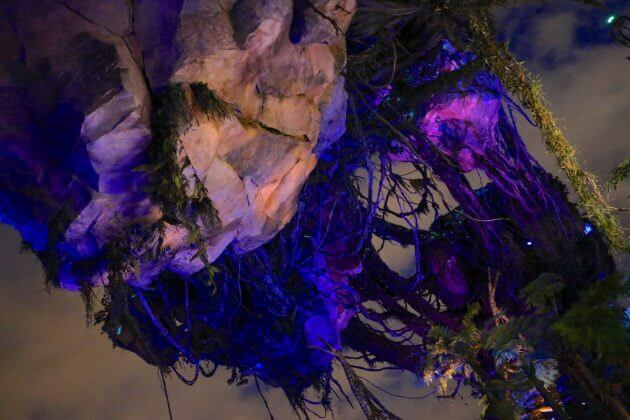 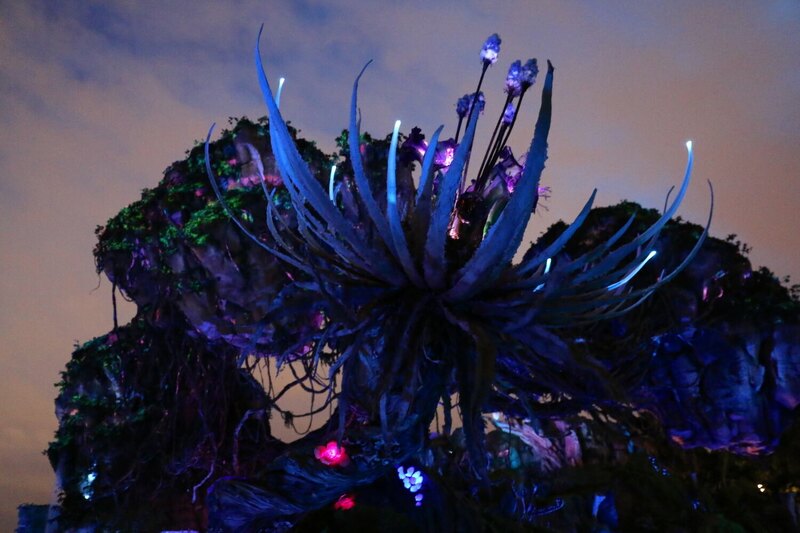 Walt Disney World’s new Pandora – The World of Avatar is meditative and awe-inspiring by day. 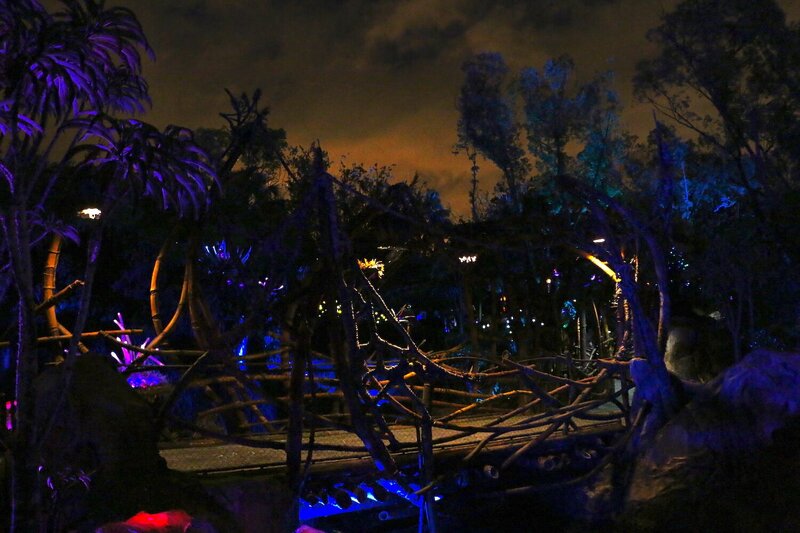 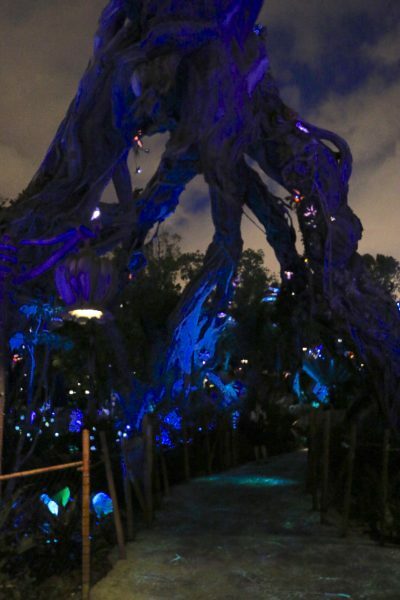 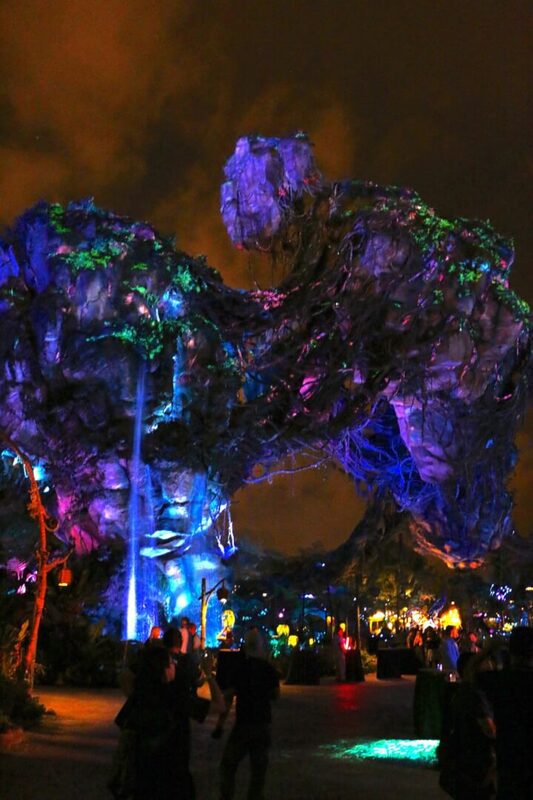 But after dark, this new area of Disney’s Animal Kingdom truly transforms into a gorgeous, glowing wonderland. 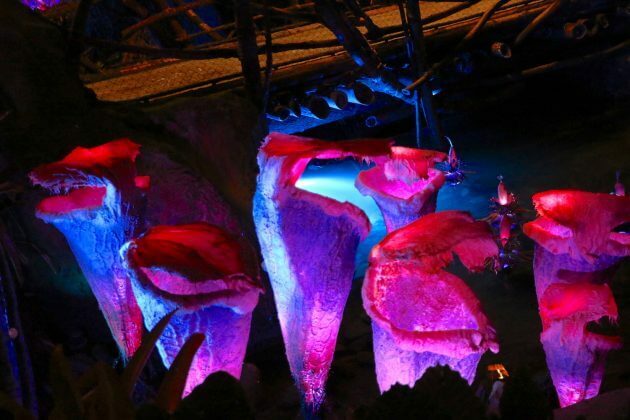 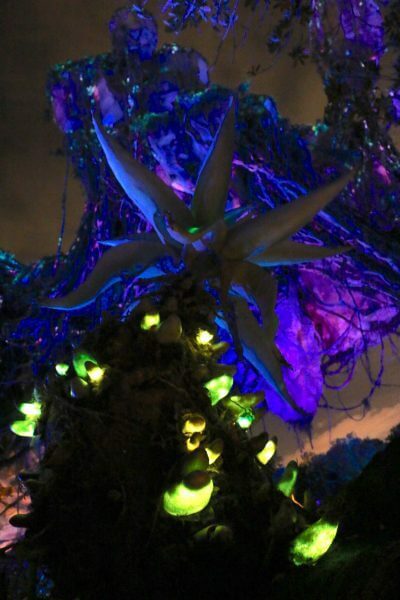 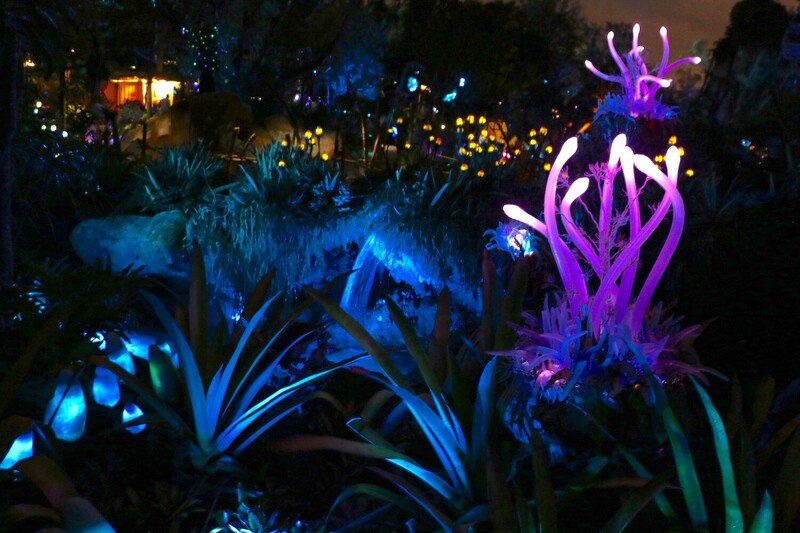 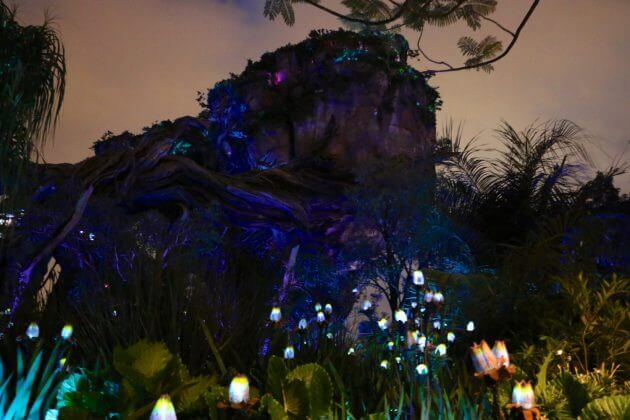 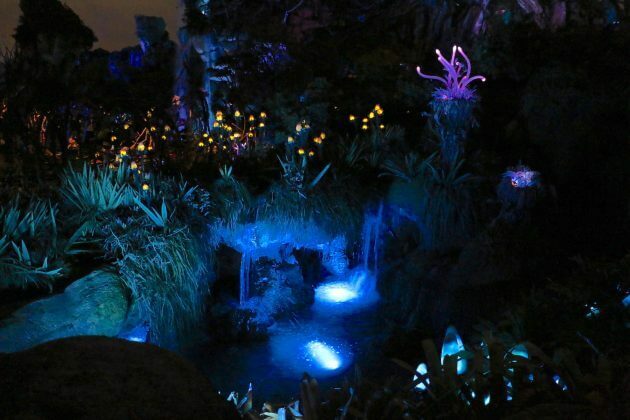 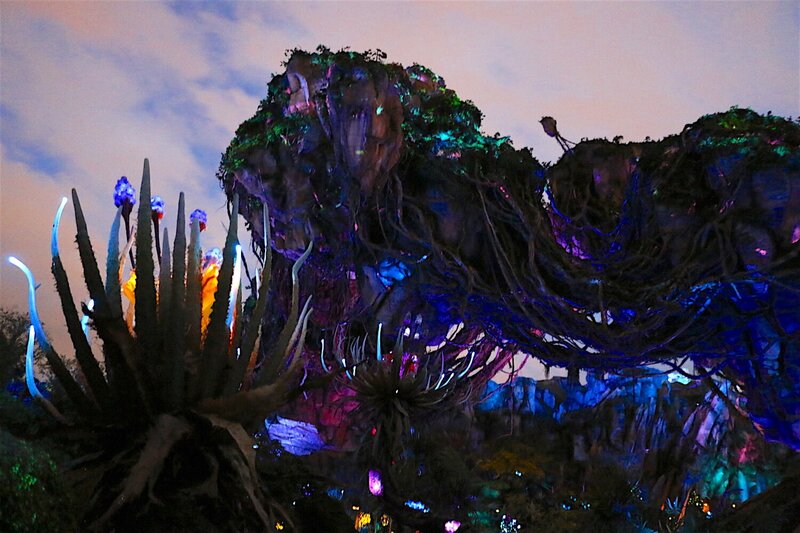 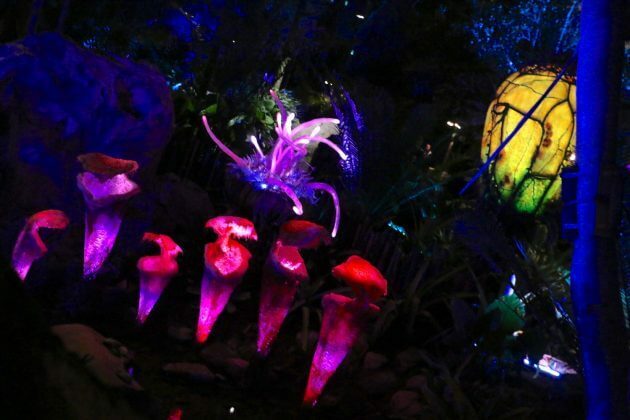 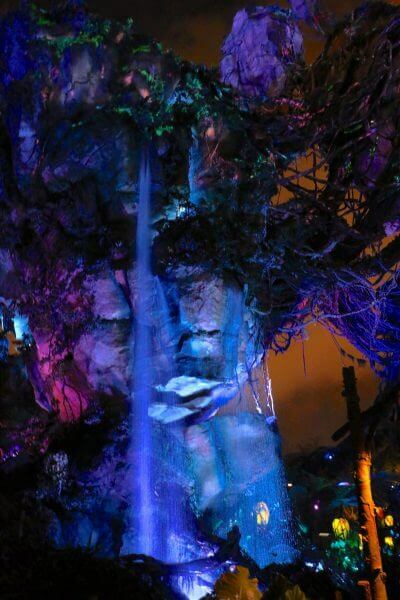 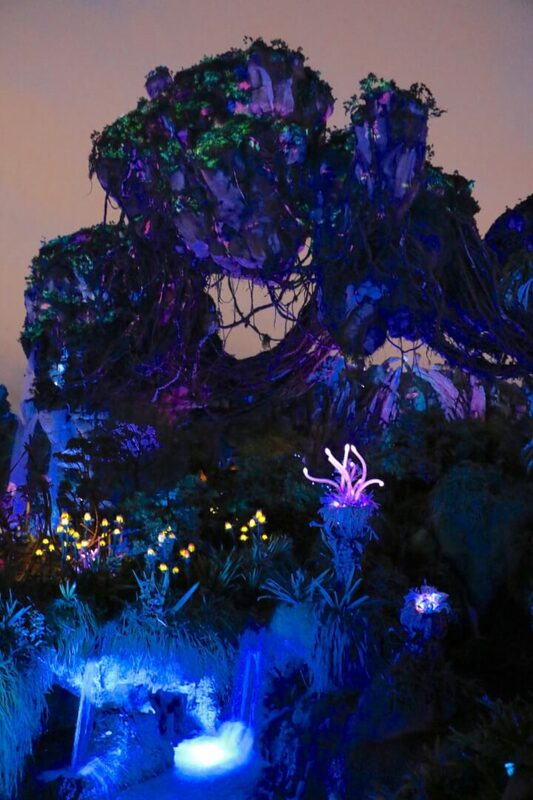 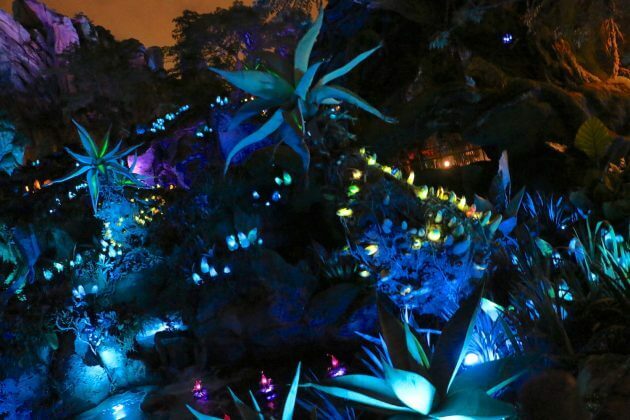 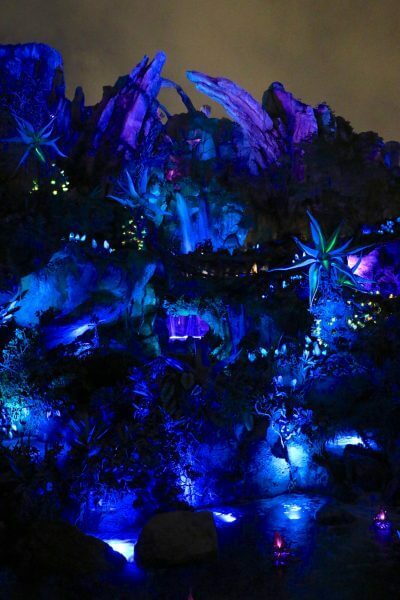 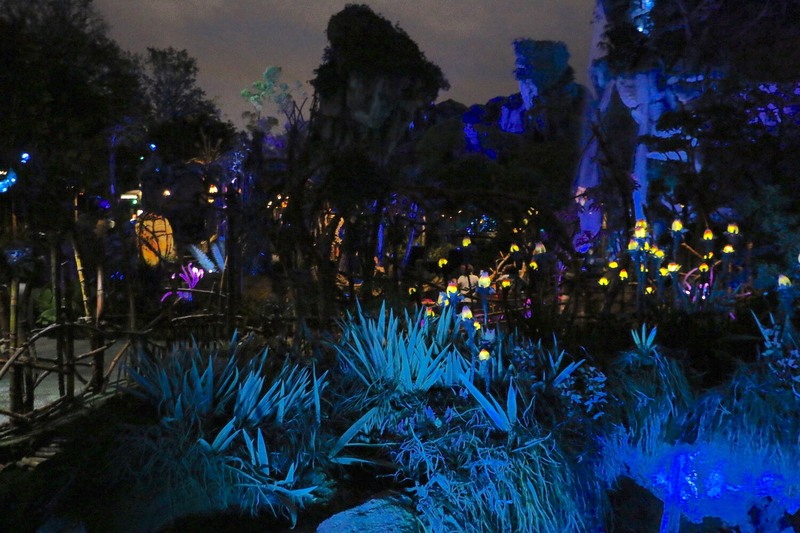 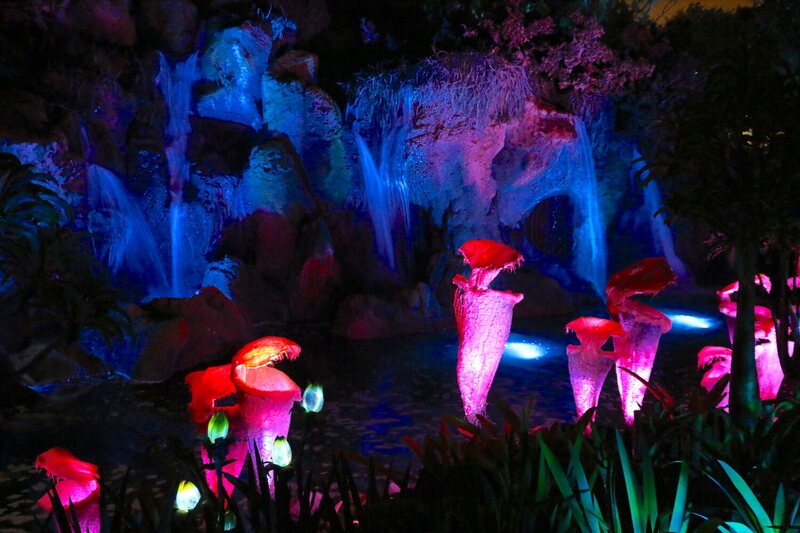 The plant life of Pandora begins to illuminate as the sun sets. 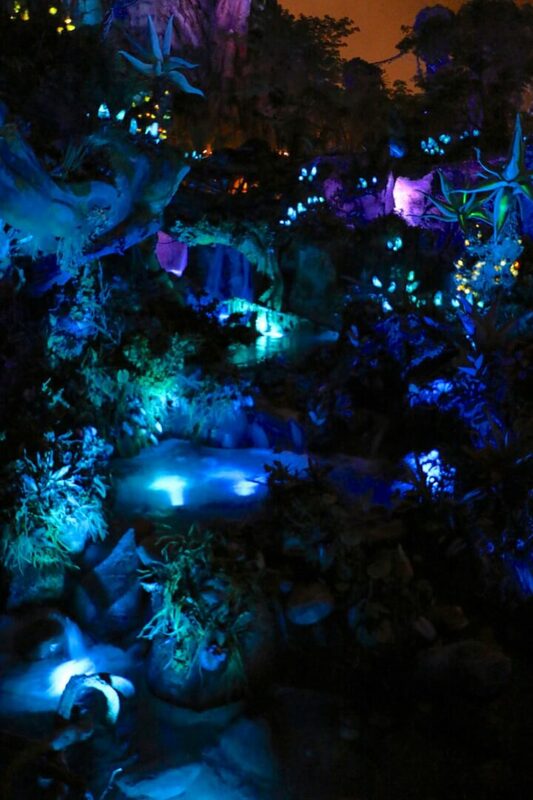 It’s a gradual transition, not like switching on a lightbulb. 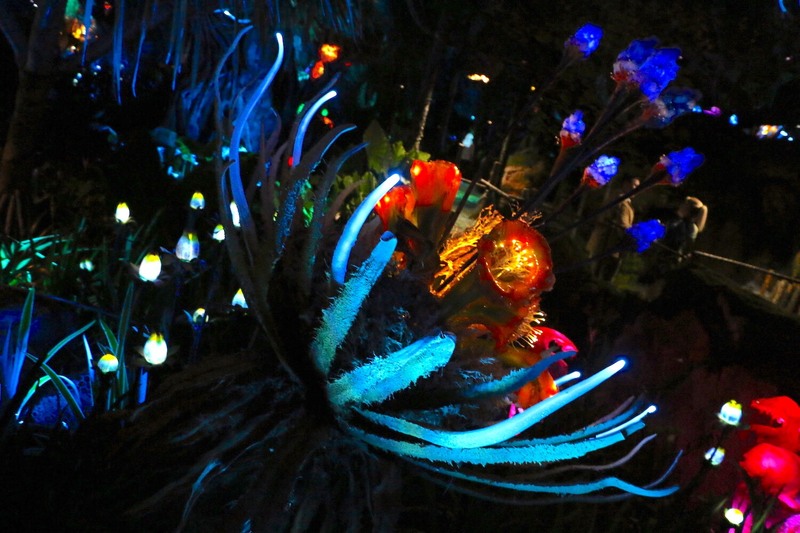 First a few of the fauna illuminate. Then the floating mountains begin to twinkle. 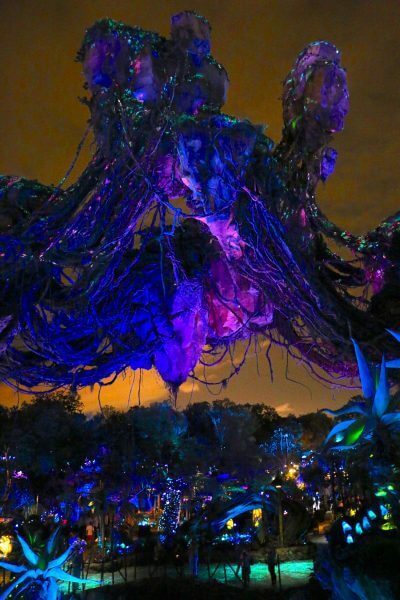 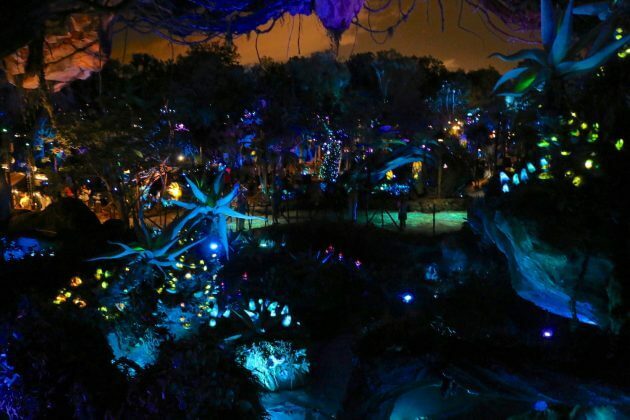 And before you know it, daytime is replaced by a bioluminescent forest filled with dazzling eye candy. It’s a photographer’s paradise. 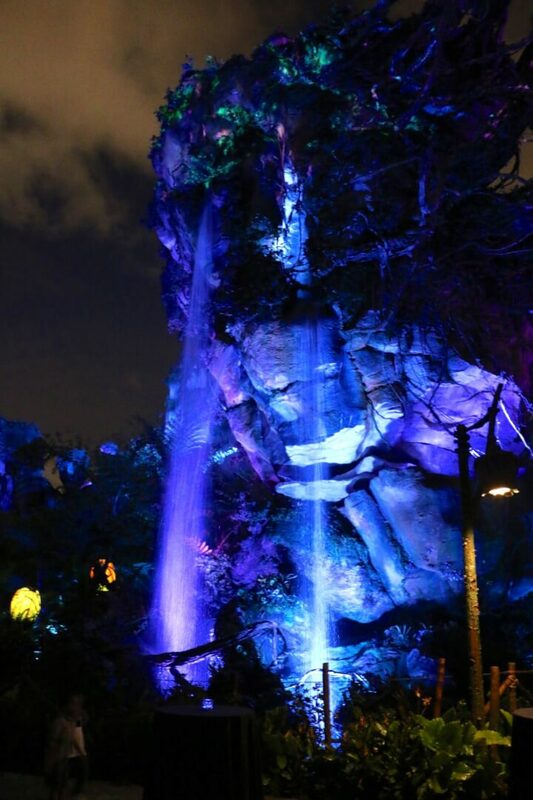 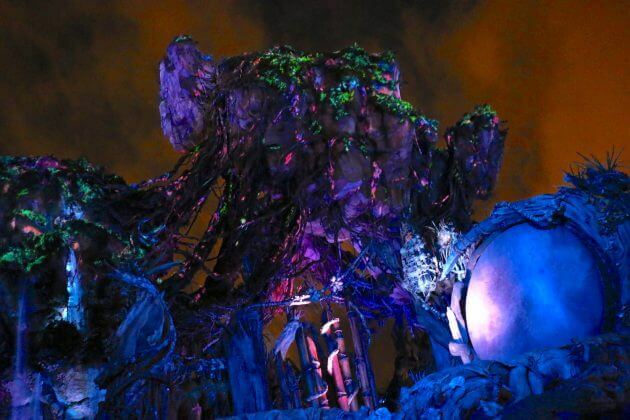 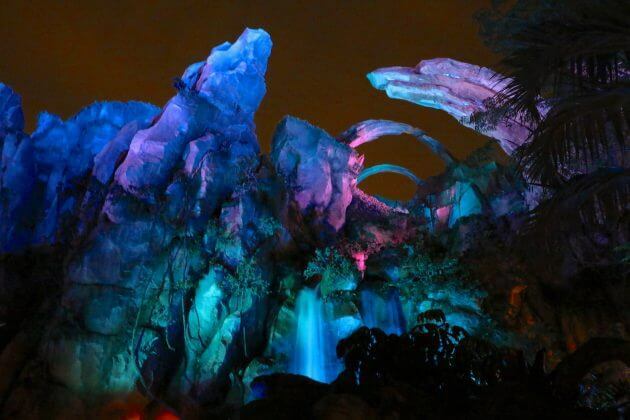 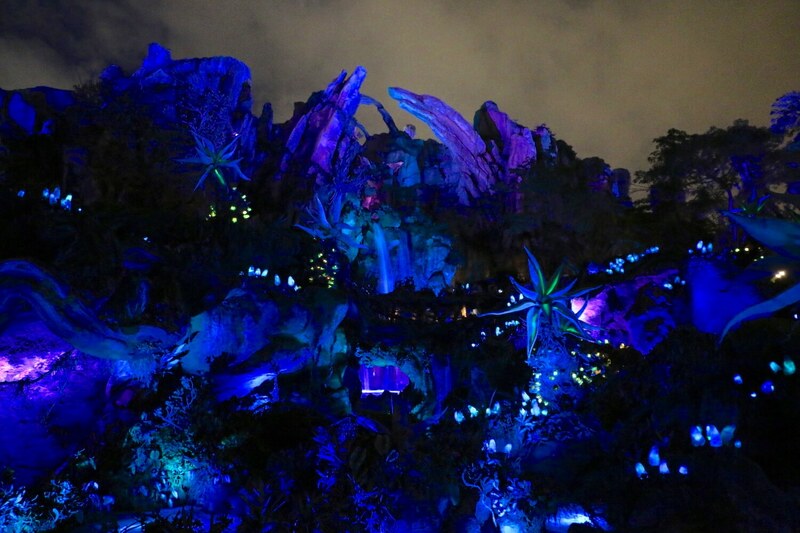 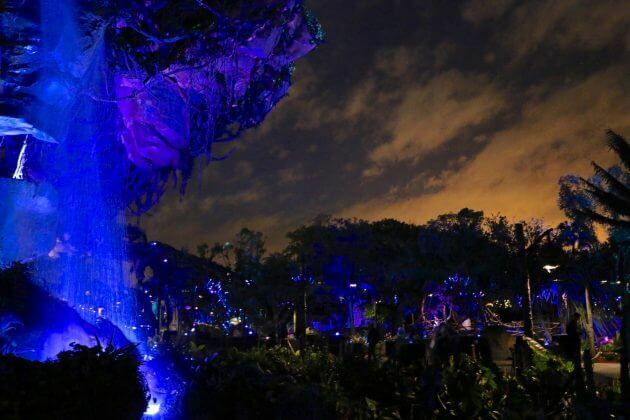 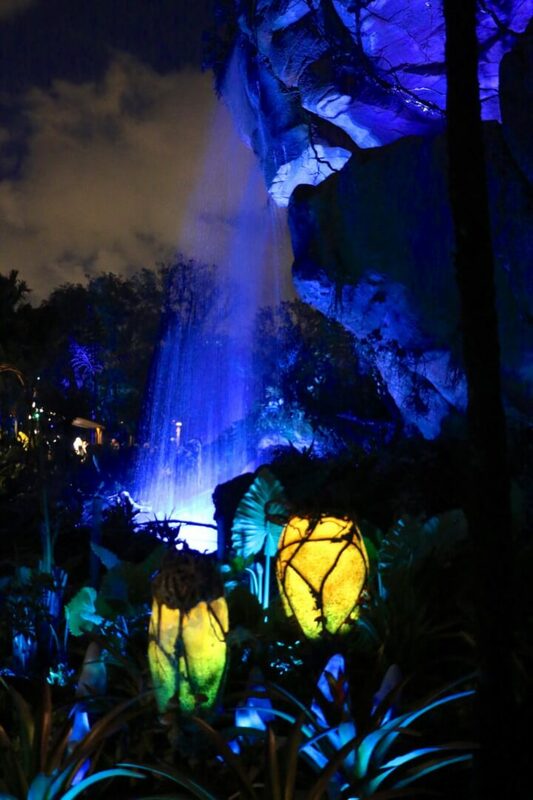 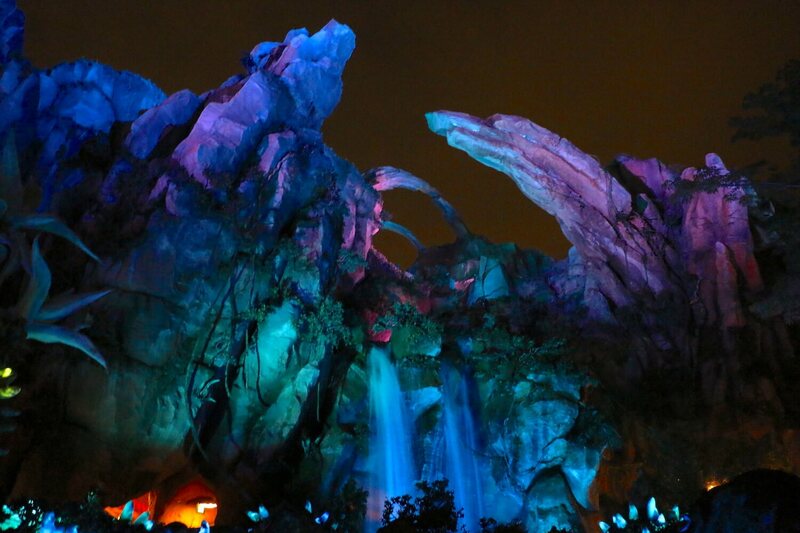 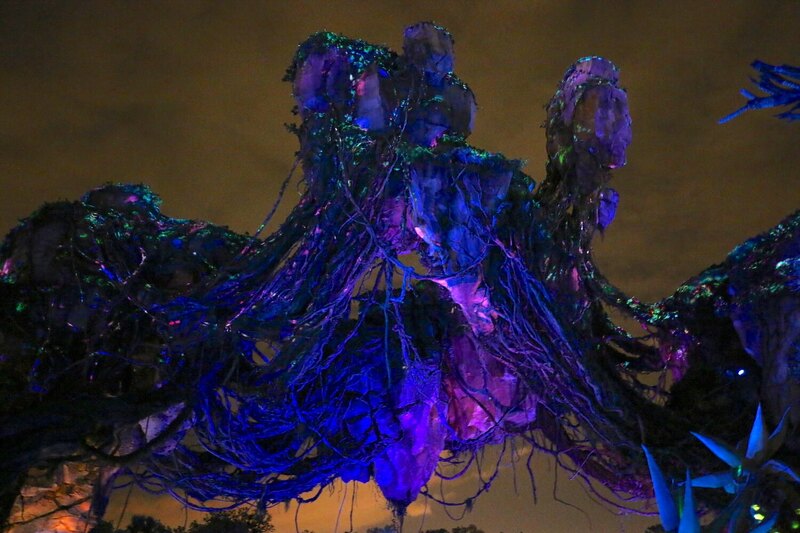 As Walt Disney World debuted the colorful display last night, the weather cooperated perfectly after a threat of rain, instead producing a surreal orange-tinted night sky that perfectly complimented the predominantly blue and purple hues of Pandora. 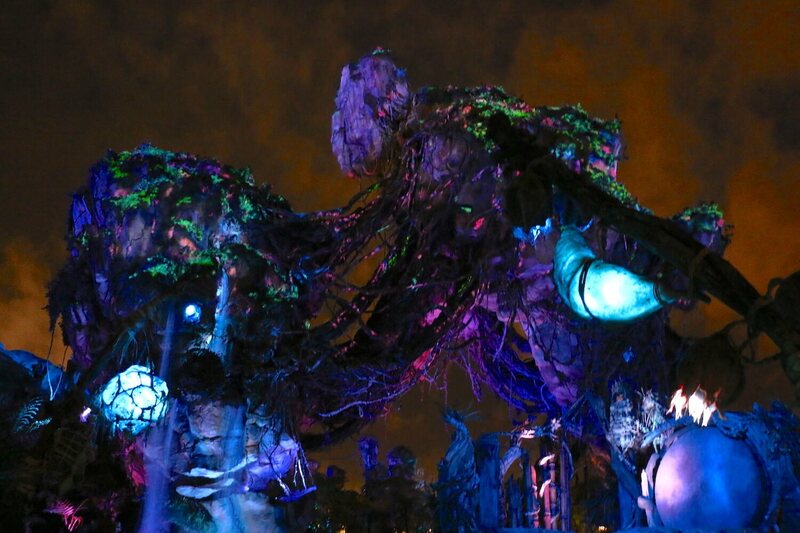 See for yourself in the video and photos below. Pandora – The World of Avatar officially opens to the public this Saturday, May 27th.